ZoomCar Offer - Special plans for the long weekend. Get 15% off on 18+ hours of booking at ZoomCar. Use latest offer code to avail this offer. Applicable only on bookings till 30th April 2019. Maximum discount of Rs 2000 or 15%, whichever is lower. Applicable on all days. Applicable in All cities except Chandigarh, Udaipur, Guwahati and Siliguri. Applicable only for minimum booking duration of 18 hours. Best Sale On Zoomcar - Book Ford Ecosport 5 seater and get Rs.8000 off on monthly fee at ZoomCar. MRP is Rs.33,999, offer price is Rs.25,999, your saving Rs.8000. More detail on the landing page. Coupon code not required for this offer. Security deposit Rs.2100 only. Best Offer On Zoomcar - Book Maruti Suzuki Baleno 5 seater and get Rs.3000 off on monthly fee at ZoomCar. More detail on the landing page. Coupon code not required for this offer. Security deposit Rs.2100 only. Best Promotion On Zoomcar - Book Maruti Suzuki Brezza 5 seater and get Rs.2000 off on monthly fee at ZoomCar. MRP is Rs.29,999, offer price is Rs.27,999, your saving Rs.2000. More detail on the landing page. Coupon code not required for this offer. Security deposit Rs.2100 only. Best Deals On Zoomcar - Book Tata Hexa 7 seater and get Rs.5000 off on monthly fee at ZoomCar. Promo code not required for this offer. Security deposit Rs.2100 only. More detail on the landing page. Best Discount On Zoomcar - Book Hyundai Creta 5 seater and get Rs.5000 off on monthly fee at ZoomCar. MRP is Rs.36,999, offer price is Rs.31,999, your saving Rs.5000. More detail on the landing page. Coupon code not required for this offer. Security deposit Rs.2100 only. Best Zoomcar Coupons - Book Ford Figo 5 seater and get Rs.3000 off on monthly fee at ZoomCar. MRP is Rs.24,999, offer price is Rs.21,999, your saving Rs.3000. More detail on the landing page. Coupon code not required for this offer. Security deposit Rs.2100 only. Best Offers On Zoomcar - Book Hyundai i20 Elite 5 seater and get Rs.5000 off on monthly fee at ZoomCar. MRP is Rs.27,999, offer price is Rs.22,999, your saving Rs.5000. More detail on the landing page. Coupon code not required for this offer. Security deposit Rs.2100 only. Now own your car at Rs.2100 only at Zoomcar. No loan, No EMI, No Down payment, No Maintenance or Insurance required. A User needs to pay a certain monthly fee to have the car for a month. He/She would have the option to select it for 6/12/24 Months with a flexibility of terminating the subscription by giving one month notice. Also, the user would have the flexibility to reduce his monthly rental by simply listing it back on Zoomcar for the period (Hourly/Weekly/Monthly) whenever he is not using the car. They have 11 models of brand new cars directly delivered from a showroom. These are not used cars. The user needs to pay just Rs 2100 to book these cars. Buy Flipkart e-gift voucher and get flat 7% instant discount at Familyjoyz. No coupon code required. Hurry!!! offer valid for limited period. Zoomcar Offers: Self Drive a car with Zoomcar and get 12% off on all your bookings. Select from cars such as Ford Figo, Ford Eco-Sport, Mahuindra XUV, Maruti Swift, BMW, Mercedes and lots more. Zoomcar zero security Deposit: Plan your holiday day outing with Zoomcar without paying a single penny. Only pay for booking fee forget about the security deposit. hurry Up!!!. Valid for a limited time period only. CouponRani Exclusive - Get 10% off on all cars bookings at Zoomcar. Use coupon code to avail this offer. Offer valid for limited period on only. Offer Applicable on SUVs and Sedans. Zoomcar Coupons - Get Rs.400 off on drives more than 48 Hrs at Zoomcar. Applicable on Monday to Thursday booking. Minimum billing is for 48 hours. All bookings between 1 to 3 hours will be billed at 4 hours. A fully refundable security deposit of Rs.5000 will be charged at time of booking. Only valid on bookings made through Zoomcar website and iOS/Android app.Discount applicable only on original reservation charges (not applicable on excess Km, late return fee, or other fees/charges).Discount applicable only on original reservation charges (not applicable on excess Km, late return fee, or other fees/charges). Offer not applicable on blackout days. Get 10% off on all car booking at ZoomCar. Use coupon code to avail this offer. Maximum discount of Rs.1200. Discount is applicable only on bookings which include Mon, Tue, Wed, Thu. Zoomcar Coupon: Get Rs.200 off on minimum booking of Rs 1000 at Zoomcar. Select cars from Ford Figo, Ford Eco-Sport, Mahuindra XUV, Maruti Swift, BMW, Mercedes and lots more. Get flat Rs.50 off on first local rental at Winwincab. Apply coupon code to avail this offer. Valid for limited period. Get rs.100 off on minimum booking of Rs.2000 & above at Winwincab. Apply coupon code to avail this offer. Valid for limited period. Get up to 10% off on local rental at Winwincab. Apply coupon code to avail this offer. Valid for limited period. Get Rs.100 off on all cab booking at Jetfleet. Apply coupon code to avail this offer. Hurry!!! offer valid only for a limited period. Download EasyCommute App with Coupon code CRFREE and get 2 Rides free! Get up to 305 off on your next travel at BeeCabs. No coupon code to avail this offer. Hurry!! offer valid only for a limited period. GozoCabs Latest Coupon - Get 7% discount by paying 15% advance payment at GozoCabs. Use coupon latest coupon code to avail this offer. Maximum discount up to Rs.725. GozoCabs Offers - Get 5% discount for the fist time riders at GozoCabs, Use coupon code to avail this offer. Maximum discount up to Rs.500. GozoCabs Sale - IPL Season Offer - 10% discount up to Rs 300 on all Gozo outstation cabs for IPL. Spend $125 And Enjoy $15 Off Base Rates At Avis. No coupon code to get the discount. Offer Limited time remaining!!! Valid on selected car bookings only. Give us your email so we can send you Cab Coupons once a day and our biweekly newsletter. If you are a person who does not like to drive or if you want to reach a place urgently, booking a Cab will be the best choice. You can use the Cab Coupons available here from various online travel sites for more saving. If you are living in any city, you have plenty of options to book a cab. You have direct cab providers like Ola, Meru, Uber, Taxi For Sure etc. 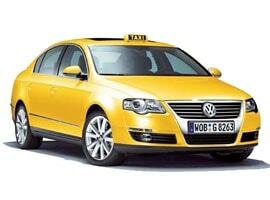 who will help you with cabs to travel anywhere within the city limits and even some do help you with inter-state. You can download the apps for any of these providers for booking cabs online. You can even check the cab fare before you book your ride on the app to know if there are any extra charges and you have the convenience to cancel your ride as well. Most of them have provided referral codes where you get cab coupons to enjoy free rides. You can apply these codes while booking your cab and you enjoy either a free ride or a discount on your fare after your ride is completed (whichever is applicable). Moreover, you can share your feedback with the provider about your ride, the facility and if you have any complaint, you can share it as well. Check for all the latest cab offers from any of the online taxi booking providers to enjoy your ride in an economical way.